Spring is finally here in Rochester, and it’s time to clean, organize and fix your house! 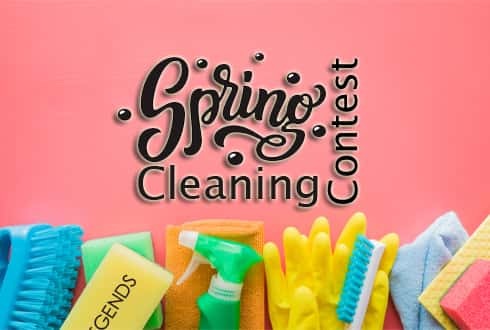 LEGENDS wants to help you out – so we’re giving away a Spring Cleaning Package! It includes: a $500 gift card from Cameron Roofing (good for labor costs on any home improvement project), $250 gift card to United Carpet, $100 gift card to Thomas Landscape and Garden Center, PLUS a $50 gift card to Bad Apples Bistro, so you can enjoy a delicious meal while the professionals are working on your house. Just listen to LEGENDS for the Spring Cleaning sounder – when you hear it, be the 10th caller at 222-4000 and you’ll be qualified to win! Marti Casper will announce the winner on Wednesday, April 10! Good luck!